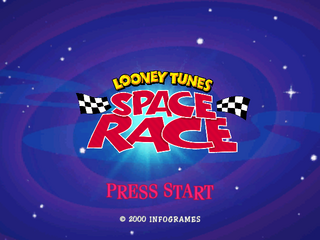 Looney Tunes: Space Race is a racing game starring characters from the Looney Tunes cartoon series. It was released for the Sega Dreamcast in 2000. It was later re-released for the PlayStation 2 simply as Space Race. Main article: Looney Tunes: Space Race/Magazine articles. The VMU allows to save gameplay progress and unlocked content. During gameplay the LCD screen will show a specialized logo at all times.